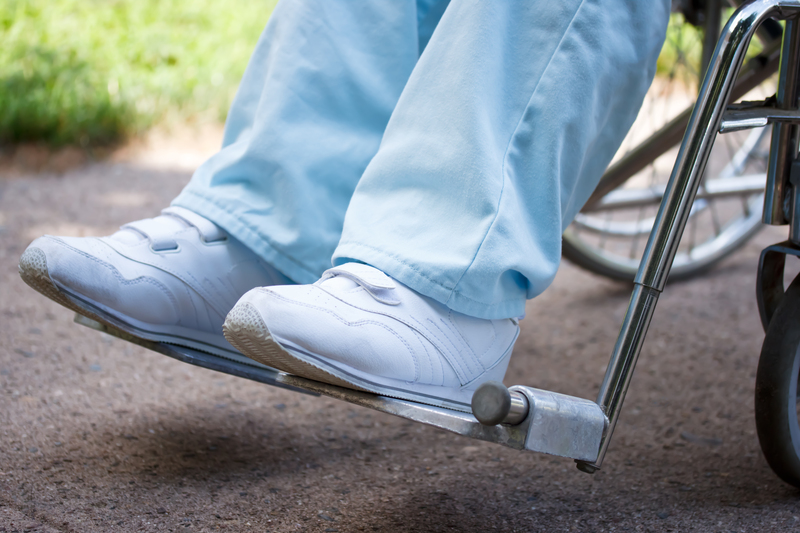 Olsman, Mueller, Wallace, and MacKenzie has filed suit on behalf of an elderly woman who tripped over her foot pedals and fell backwards, hitting her head. She died the next day as a result of complications from the head injury. Ms. H was a resident at Tendercare of Portage. Her care plan called for the foot pedals to be used only when she was being propelled, and at least one person to assist her when walking. However, on April 23, 2011, Ms. H was sitting alone in her wheelchair. The foot pedals should have been up and off to the side, but were down. Ms. H got up to walk and her feet became entangled in the foot pedals. She fell backwards and struck her head. Tendercare of Portage had a responsibility to ensure Ms. H was free of tripping hazards and was properly monitored, which they failed to do. Following the fall, Ms. H was in and out of consciousness. Doctors at a local hospital diagnosed her with a subdural hematoma (bleeding in the brain) and determined that surgical intervention was not likely to relieve her comatose state. She entered into Hospice where she passed away the following day.